When you’re traveling, you want meals made easy in your RV kitchen. Here’s a delicious and easy camp recipe you’ll reach for over and over. What’s better, it uses very few dishes, so your clean up is easy and the storage space needed for your kitchen tools is minimal! Over medium heat, brown ground beef. Once browned, remove beef from skillet and drain off all but about a tablespoon of grease. Add diced onion and diced bell pepper to the skillet and cook over medium heat until tender, about 15 minutes. While vegetables cook, prepare cornbread mix in a medium bowl according to package directions and set aside. Return browned ground beef to skillet and add both cans of diced tomatoes, stirring to combine with the pepper and onions. Add a dash of red pepper flakes and salt to taste. Mix thoroughly. Top the meat and vegetable mixture with the cornbread batter and smooth to cover. Place the entire skillet in the oven and bake until golden brown, about 40 minutes. Serve with optional toppings. This crowd-pleaser meal is easy to prepare and assemble, and a snap to clean up! You’ll have only a couple of dirty dishes to clean at the end of the meal. Additionally, you can take advantage of the pantry staples included here, such as the diced tomatoes and boxed cornbread mix. Easy to find dry goods like these can help with meal planning, and can help simplify your pantry and RV refrigerator contents. 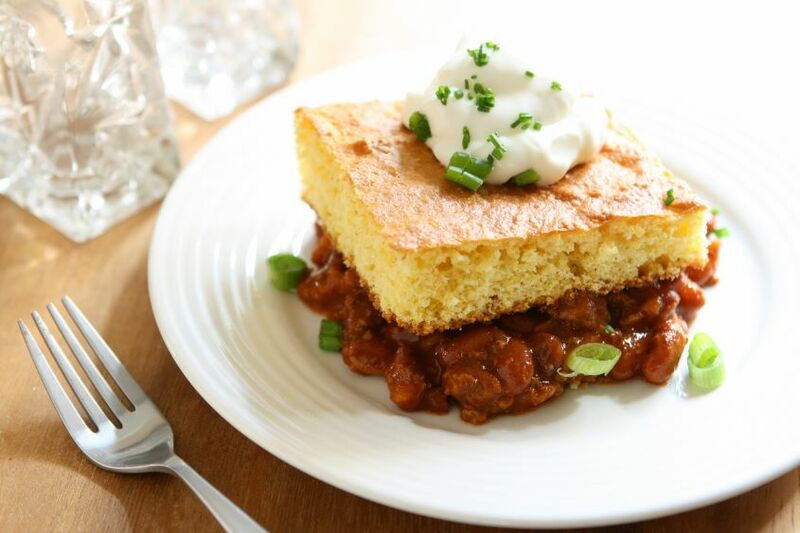 Have you tried Cornbread Tamale Pie? 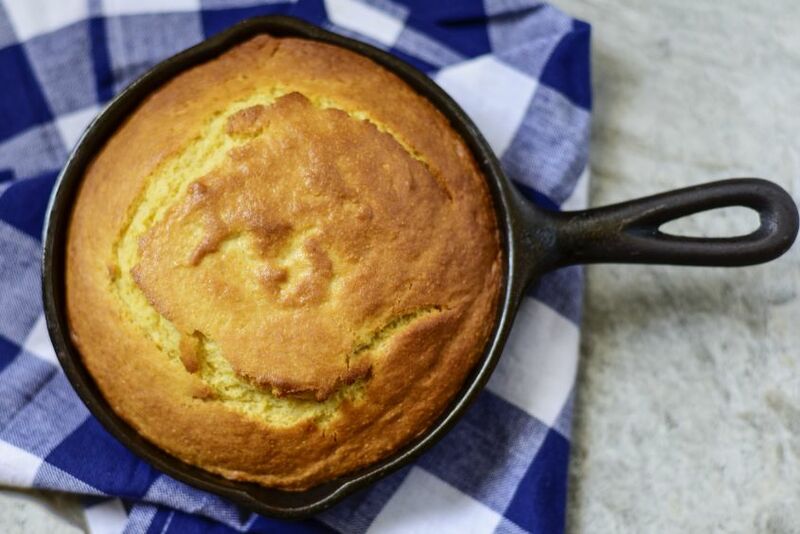 Let us know when you’ve tried this easy camp recipe and how well it went over with your family! Need some help picking out a new or used RV with the perfect kitchen suited to your meal preparation needs? Give us a call today. We can help you choose the perfect RV for you! Top Travel Accessories You’ve Got to Have! Is a Camper Van Right for You? Travel Lite Express Travel Trailer Review: Your Compact Weekend Adventure Awaits!